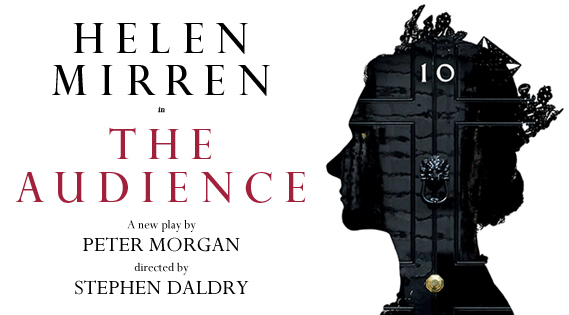 Again in the West End it would appear that the main draw of new play The Audience is its star Helen Mirren, however, that would be doing a great disservice to Peter Morgan’s deftly written, insightful and highly amusing play. For the 60 years of her reign, on a Tuesday evening, Elizabeth II has met with each of her Prime Ministers. 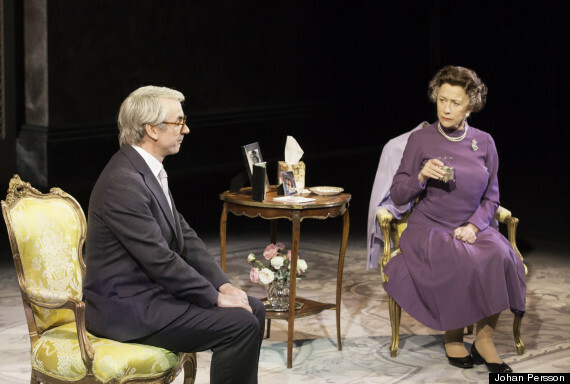 In his play The Audience Peter Morgan, writer of Helen Mirren’s Oscar-winning role in The Queen, uses the fact that these encounters are never minuted and bound by a confidentiality that excludes even their spouses, to imagine what takes place during these interactions. 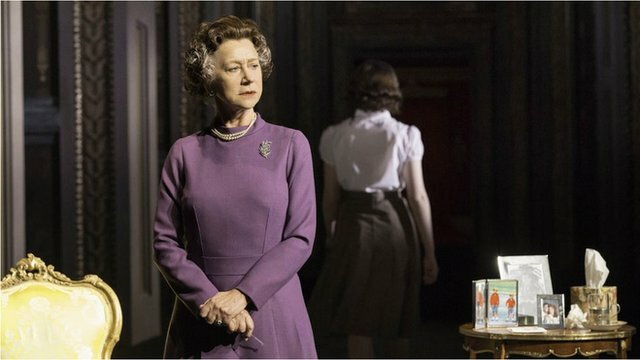 The audiences with eight of the Monarch’s twelve Prime Ministers is told in non-chronological sequence, and is interwoven with scenes of reflection between the Queen and her teenage self, illustrating as she nears adulthood, her growing resignation to her duty. As well as showing Her Majesty as confessor and therapist, the piece also hints at a monarch with strongly held political convictions of her own: Harold Wilson at one point jokingly telling the Queen that he has always suspected she was a Lefty at heart and the Queen strongly asserting her disapproval at Margaret Thatcher’s reluctance to impose sanctions on South Africa’s apartheid regime. There are moments of weakness shown too: the de-commissioning of the royal yacht Britannia and Princess Diana’s scathing criticism in Andrew Morton’s tell-all memoir reveal chinks in the Monarch’s armour. The inclusion of current events, only 48 hours on from the death of Mrs. Thatcher the details of her funeral have been added in by the writer and the Queen’s disapproval of the recently abdicated Pope whom she bemoans as a light weight, not a lifer like her, all imbue the play with a greater believability. Mirren is, as expected, suitably regal in the role and travels through the decades with ease. The eye-poppingly swift on-stage costume and wig changes are accompanied by a well-observed subtle change of voice here or a more youthful gesture there. Less successful is Nathaniel Parker’s portrayal of Gordon Brown, his physical quirks are on the money but his Scottish accent appears to have come to him via Dublin and Mumbai. 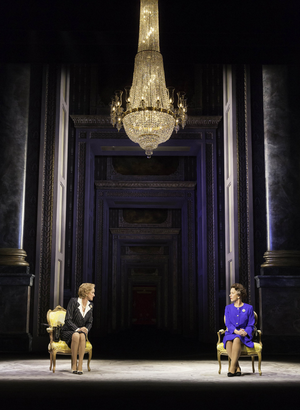 Haydn Gwynne also veers into Spitting Image territory, giving a steely-eyed and shellac-haired version of Mrs. Thatcher. Conspicuous in his absence though, is Tony Blair, having been thoroughly dealt with in Peter Morgan’s 2006 film The Queen. 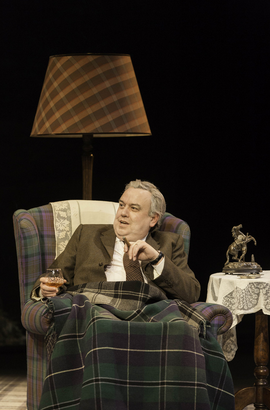 Bob Crowley’s clever design reflects both the formal coldness of Buckingham Palace and the actual arctic conditions but comfort and shabbiness of Balmoral, replete with its three bar electric fire. With a stellar cast and some perfectly honed performances, this is finally a show that lives up to the hype. All images by Johan Persson.